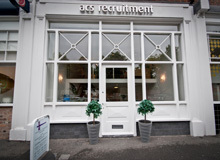 ACS are recruiting for an Operations Manager for a firm of solicitors in Chester. Working closely with the Chief Executive Officer, contribute to the management of the business, development and delivery of the business plan. Measure performance of areas, KPI and SLA overview together with financial and risk management against plan. Provide insight, advice and guidance on Practice area developments, compliance, trends and support new business opportunities. Raise the external profile of the Practice, creating and exploiting PR opportunities and contributing to professional debate. 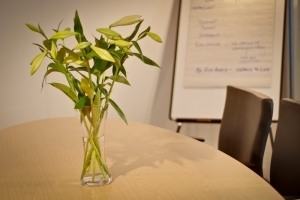 Working as part of a high performing team to achieve the business objectives. Supporting the identification of causes of any potential and/or existing control and compliance issues, proactively highlight to your line manager working to address areas of concern. Creating and owning the audit function to ensure legal best practice is applied and being adhered to in all business areas. Demonstrate policies, procedures, processes and controls are in place that comply with practice standards, statutory requirements and the SRA rules. Liaising with regulatory bodies and your line manager to ensure all regulatory requirements are interpreted, cascaded and acted upon in a timely manner. Accountability for reviewing third party supplier contracts ensuring the business is compliant and areas are cost effective. Working with your line manager support the preparation of the budgets and forecasts for the business planning process together with the financial analysis required to evaluate business performance against agreed plan and benchmarks. Leading by example in demonstrating the highest standards of customer care providing guidance and advice to colleagues as part of a feedback review from the regular audit results. Acting as a role model for both the department and the wider business demonstrating consistency and strong leadership behaviours. Researching, devising and delivering new training protocols to align with business requirements (subject to line manager agreement and sign off). Responsible for collating and retaining clear and up to date HR records. Experience of influencing at all levels. Excellent communicator with sophisticated behaviour. Effective facilitation and collaborative skills. Achievement driven – able to sustain significant change programmes across the life-cycle of business strategy. Experience of delivering highest standards of service. Experience in networking and managing external third party suppliers. Knowledge and understanding of legal sector and statutory requirements.